With his mother defeated by her own ‘old enemy’, and his father gone not long before her, Ron’s war continued. He served with the RAF abroad for almost a year after May’s death, with no compassionate leave granted to attend either of his parents’ funerals. The pain of losing both parents, as well as their brother’s enforced absence, was hard for Jean and Rene to bear. Their grief was softened when Jean moved to live with Rene and Tom in their bungalow in the village. They kept in close touch with Emmie, Ron’s wife. In the summer of 1945 Emmie and Jean shared a holiday in the Lake District. Shortly afterwards Ron was demobbed, safely returning to England where he was joyfully reunited with his wife and sisters. The rejoicing at the end of hostilities was mixed with grief; the war had taken its toll on the family and the village. 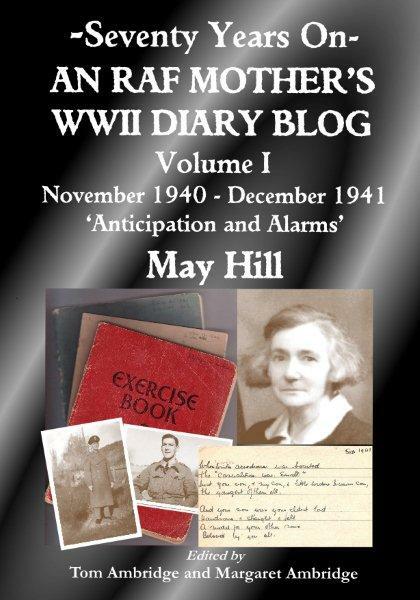 Of the four young men who had been lost in action, as recorded in the Diaries, three were May’s nephews, Tony Hill (RAF), Kenneth Hill (RAF) and Raymond Hill (Army). Along with that of Hugh Green (Merchant Navy) their names were added to the plinth of the village war memorial, located in the grounds of St Leonard’s Church. 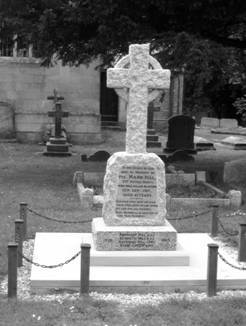 The memorial had previously been erected in memory of Will’s brother, Mark Hill (Army), the only man of the village to be killed in action during the First World War (see 16 Sep 1944 when May laid flowers on Mark’s grave). 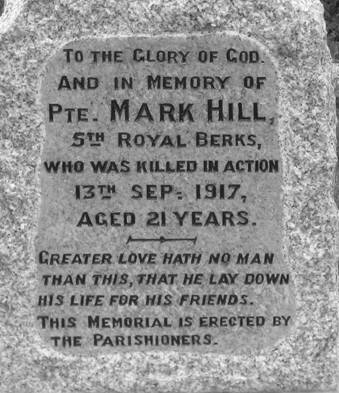 Their sacrifices have not been forgotten and the village memorial was re-dedicated, following refurbishment, in a service held in 2005 on the anniversary of Mark Hill’s death in on 13th September 1917. As for May and Will’s immediate family, life began to move on. The first grandchild, Rene’s son, was born barely a year after May’s death. Jean lived with Rene and Tom for a few more years until they re-settled in Louth. 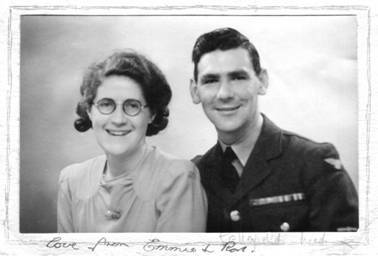 Jean then moved to live in Skegness, where she continued in local government employment and met her future husband, Alan. Ron and Emmie made their home in Yeadon, near Leeds, where Ron pursued his career as a carpenter/joiner. Each couple had two children who have great pride in the Poetry and Diaries. Although they never met her, May Hill’s grandchildren will never forget the grandmother whom, through the wonderful legacy of her writing, they have come to know so well. 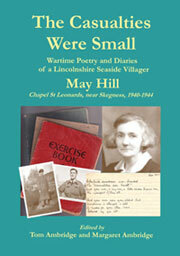 This Postscript is adapted from that in the book “The Casualties Were Small” (available on Amazon) which contains May Hill’s poems, selected diary extracts and many nostalgic photographs, including those above. My slippers take a lot of making and as Cis was busy I have made a mistake or two. Will try to make next better. Don’t know if I shall finish these before we go. They are worth a little trouble in these days of coupons. Have finished Jean’s pyjamas. Very nice. Jean brought me the stockings Eva promised me, grey, pure silk and rayon, fully-fashioned! She would take neither money or coups. A.M. [air mail] letter from Ron today written Aug 1st. Enjoying his rest, bathing from boat in water approx 60ft. deep (sea). Was probably going to swimming pool that day. Says they are pestered by little “kids” worrying them all day long to let them do their washing. Ron had let them do his that day as he said it was hot and he did not feel like washing clothes. He had made bathing shorts out of old pullover. Wonder how he keeps them up. Rene says Mrs Faulkner pleased Ralph is in England altho’ he is wounded in knee and seat, seat not painful he says. Rene says Mansell Robinson is going to Persia. Ciss had a nice letter from Gwen to-day, she said she was expecting one from her mother on Wed. Expect she’d get one as Rene posted it yesterday. Went back to P.O. to-day and got £4.12.0 pension money. Won’t be so much next time but Jean will soon start her payments. I must buckle to and get more toys made when I come back. Had a long letter from Mrs P Smith to-day. Ron’s airmail letter was probably written during the time that RAF 93 Squadron ground crew personnel were in port or at sea being transferred from a base at Piombino (Tuscany, Italy) to one being prepared at Ramatuelle (St Tropez Bay, France). For some of this time the squadron’s aircraft were based at Calvi (Corsica – see 6 August 1944) from where they patrolled southern France until the move was completed. Mrs P Smith was not believed to have any connection with other Smith families mentioned previously. 4000 ships and a great many smaller craft crossed the channel. Great air-liners took air-borne troops behind the Ger. lines. Montgomery is speaking now, a message to the troops of which he is the head. Now a service. Almost 10 o’ clock. The A.B. Cant. [Archbishop of Canterbury] has spoken and now they are singing “Oh God, our help in ages past”. At nine o’clock the King broadcast a call to prayer, not just one day but all the days of crisis. In the news afterwards we heard that all was still going well in France. I fear the “little people” like us would not just go on with this ordinary work. However pleased they may be at the thought of deliverance, at present it means danger and hardship and war. Many will have to leave their homes and many I fear will lose their lives. The service is over, a beautiful service, ending with the hymn, “Soldiers of Christ Arise”. We are in bed. A motor cycle has just gone by and a swiftly moving plane. Per[cy] was with H[ome] Guards last night. I am pleased he is at home next door tonight. God be with us all those whose sons or husbands or other dear ones have already fallen in this new front. Be with the wounded and comfort the dying and those who are afraid. We had 12 letters from Ron to-day – a record. I had 6, the others 3 each. In the most recent one, only a week since he wrote it, an A.M. Letter, he says his hopes of return are practically nil. I am almost pleased much as I long to see him but somehow he seems safer there at present. I must try to sleep now. The longed for D-Day has arrived. Deliverance Day Jean says it means. Dave Short, Bob Taylor, Harry Epton, Ray Sharpe, Stan Grantham, Len Ingoldmells, Sam Scott, Billy Willson, Alf Johnson, Tom Hill, Mervyn Clark, George Dennis, Fred Dennis. Tobias Harriman, Bob Thorn, Ben Clark, Silas Willey, Fred Boulton, Horace Grantham, Percy Ranson, Bill Sylvester, Tom Wright, Harold Brough, Geoff Hallgarth, John Hill, Frank Brough. 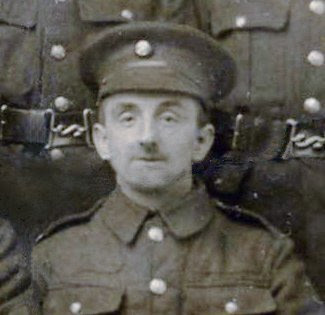 Charlie Knight, Jos Simpson, John Jinks, George A Young, Harry Atkin, Steve Lucas, Jack ‘Poppa’ Taylor (Lieutenant) and dog, Edgar Brown, Hedley Lucas, Norman Richardson, Billy Turner. George Lyle, Jim Lenton, Arthur Bradley, Sid Perry, Len Short, George Barker, Norman Willson, Harold Wright, Vic Chapman, Archie Hancock. Ron’s letters were from Italy where he had been based at Lago airfield since his RAF Squadron (93) had moved from Capodichino in Naples in January 1944 on a day when they witnessed the first lava flow heralding an eruption of Mount Vesuvius. ‘Deliverance-Day’ was an apt interpretation, but officially D-Day simply means the day of the start of an operation, so every military operation has its D-Day. However the one on 6th June 1944 (the start of Operation Overlord) is unique in its popular recognition. 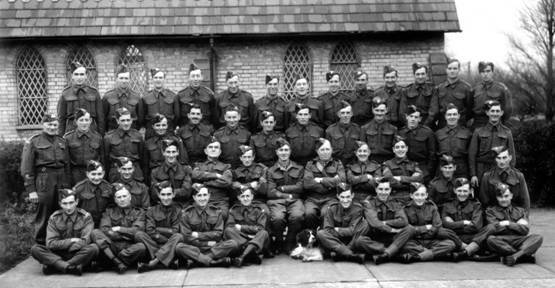 The Home Guard photograph, believed taken by AE Wrate, Skegness, was loaned by George and Dorothy Barker (who supplied all names in the caption). Permission for publication has been kindly agreed by Martin Wrate of Wrates Scholastic Photographs Ltd, Prince George St, Skegness. Very squally again this morning but I hope not quite so cold. It was “perishing” yesterday. It came a very snowy sleet shower about 4.30. to 5 and on the sea-bank in shade of a bramble-bush sat or rather stood, a beautiful pheasant. I was putting up black-out curtain and saw “the Sprogg” run across the lawn and creep up the fence so wondered what he saw and it was that. Its feathers blended so well with the grass and leaves that it was only when it shook its head or turned it that it could be detected. I stood and watched it some time, with “my mouth watering”, but alas, even if anyone had been here with a gun, it was no use, for the bird was in the middle of the mine-field! Sprogg crept quietly along the road and the last I saw of him was when he was starting up the sand-hills. I don’t think he had much chance of catching the bird, especially as he went up the wind side of it. I looked out a bit later and it was gone. I hopefully scattered some bread on the lawn as I have seen signs there sometimes of its presence. Rene washed at “Bev.” ['Beverley'] yesterday. I may have a few things washed to-day if it is reasonably fine. Must wash hankies in any case. Father was on watch at 12 noon yesterday so we had early dinner. Then before Rene came for hers I changed sleeves of my A F [air force] Blue cardigan so that the elbow wear would come in a different place. They look so well that I am wondering if they were put in wrong the first time, as they were made for left and right! Usually they are both alike. I saw the idea in a book or paper and thought it very good as my cardigan was very thin at elbows in fact. I had to darn underneath one tho’ not in actual holes. Did two patterns on my new one and think found where I make mistake in patterns. It is a teaser or I am a bit stupid I think, and it is very difficult to alter mistakes in it. Think Jean’s green skirt will turn out alright but I was rather foolish to cut it out when I was so seedy as I have got it about 6 inches too long. I can cut it off but the piece left might have been more use in one piece. Had a nice letter from Ron yesterday dated 10 Oct so not so bad. Says he likes to go in the churches they are so quiet and peaceful. It seems strange to think of him being able to go a two hours ride to a town in a country at war. It is good to think he is well away from the fighting line. He does not seem so hard-worked at the time of writing, and says it was a lovely day, everything drying up after the rain (I am afraid they’ve had a lot more since then) and he was sitting outside writing his letter. His letter was quite cheerful, but somehow I feel he was very homesick when writing. It is really nothing in his letter, but the tears came to my eyes as I read of his liking to visit the quiet churches, as they seemed so peaceful and he could think of home. I should think the lack of privacy, and leisure to think and be quite alone is as trying sometimes as too much solitude. 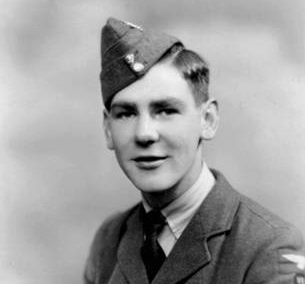 After being based for two months in Sicily with his RAF Spitfire squadron, Ron and his unit had moved on to mainland in Italy in late September 1943. He had been in Battiplagia, Salerno, about 65km from Naples, for about two weeks when he wrote the letter on 10th October.